Shiraz Khan is the Head of Tax and leads Al Tamimi’s tax practice in the region. 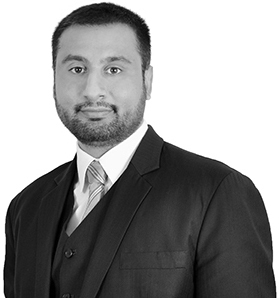 Shiraz is a UK qualified lawyer with over 15 years of international tax experience. Prior to joining Al Tamimi, he was the global head of tax at a leading multinational where he was responsible for the tax affairs in over 100 countries. He has also worked for a top international law firm in the UK and big 4 firms in both the UK and the Middle East. Shiraz specialises in advising on international tax structuring and tax aspects of cross border M&A, private equity, structured finance, Islamic finance and real estate transactions. He has in-depth knowledge and expertise across all taxes including corporate tax, withholding taxes and VAT in a wide range of industry sectors. He has particular expertise in advising multinational corporations on structuring their investments and operations into the region and financial institutions, sovereign wealth funds, real estate investment companies, family offices and private equity groups based in the region on their international investments. Shiraz regularly speaks at conferences and seminars on international tax issues and has been involved in advising governments on the drafting of tax laws. 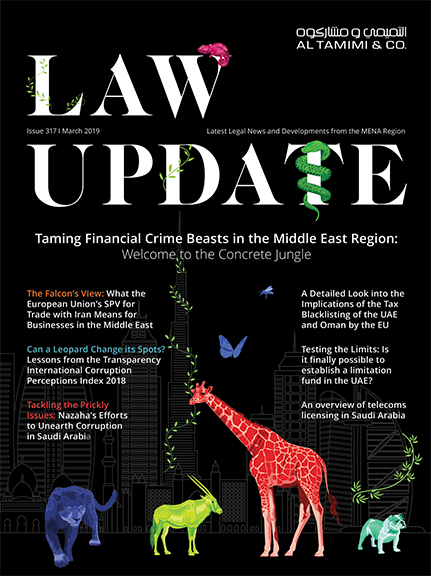 Tax advice for a global media group based in the Middle East in connection with their international operations across Europe, Middle East, Africa, America and Asia regions. Structuring of various investments totaling USD 1.5 billion across Europe and the United States for a global real estate fund, including advising on tax efficient profit repatriation and exit as well as the tax considerations related to the financing structure. Advised a private equity firm on a Euro 2 billion pan-European acquisition of a large engineering group including debt push-down at investment level. Tax due diligence, structuring and sale and purchase documentation support for a Gulf bank in respect of an acquisition of a banking group in 13 countries across the Middle East and Asia. Advised a sovereign wealth fund on various debt and equity investments into the United States. Provided tax advice to a Shariah compliant bank based in the Gulf region in connection with the issue of a USD 750m ijara backed sukuk. Advised a regional retail organisation on the tax implications of expanding its operations in the Middle East.